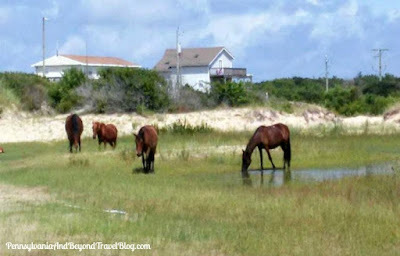 The Outer Banks in North Carolina is one place that should be on every traveler's bucket list, especially if that traveler enjoys visiting beaches and seaside communities. The first time I ever visited OBX (Outer Banks) I was around 14 years old and I've been fortunate to return several times over the past 30 years. 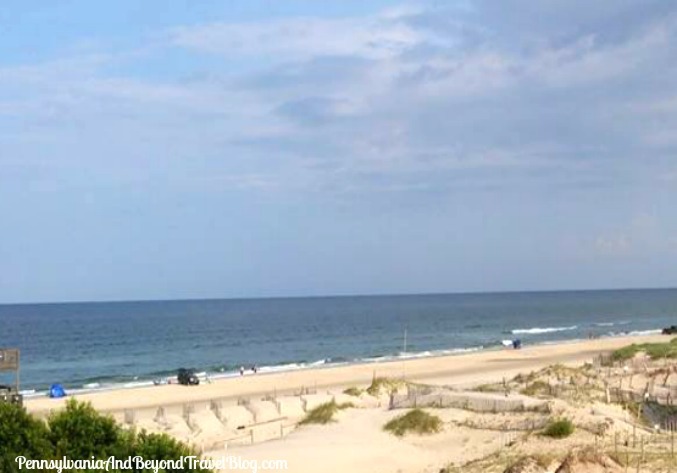 Corolla Beach is located on the northern end of the outer banks and has it's own beach vibe which I just love! You won't find mass-retailers and chain stores here! You'll find a laid-back community that's dotted with locally-owned mom and pop stores. There is something for everyone to enjoy in Corolla Beach! One of the things that I love about this seaside community is its wide and expansive sandy beaches. There is plenty of room for everyone here and the beach sand is as clean as can be! As someone who enjoys going shelling, I've found some amazing seashells and treasures over the years. The best time collect? During low tide or right after a big storm has moved through. 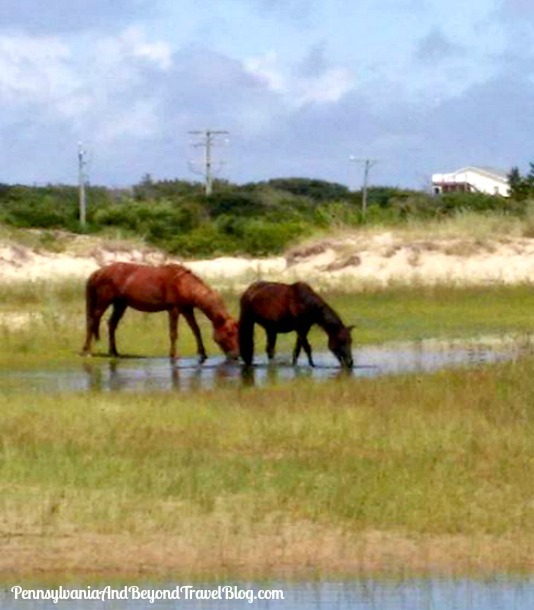 Every few years my family heads down to Corolla Beach to relax on the beach and to see the wild horses up close and personal. Even though the horses are wild, they're quite used to vacationers and will allow you to get close. Just remember though, they're wild and you can't pet or feed them! Just observe their beauty from a distance. 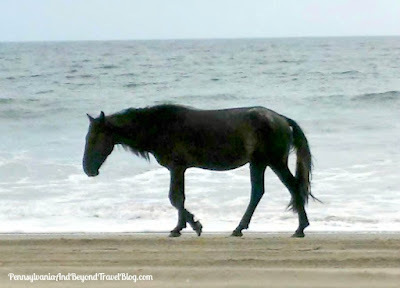 If you love wild horses you'll find several companies that offer wild horse tours. These tours are reasonable and are lead by experienced, local guides. When we went on our wild horse tour...we rode around on an open-air safari truck which was pretty cool. If you're looking for a great tour company, we recommend Corolla Wild Horse Tours. You'll want to allow approximately 2 hours in your schedule if you plan on taking the tour. They welcome all ages, including infants & toddlers in car seats (that you provide). Your tour will cover 25 miles of off-road cruising throughout Carova Beach. The tours are available March through November. We had a fantastic time on our little weekend trip down to Corolla Beach in North Carolina and looking forward to planning a longer trip in the very near future. It's a beautiful place to visit and we highly recommend that you add it to your bucket list.